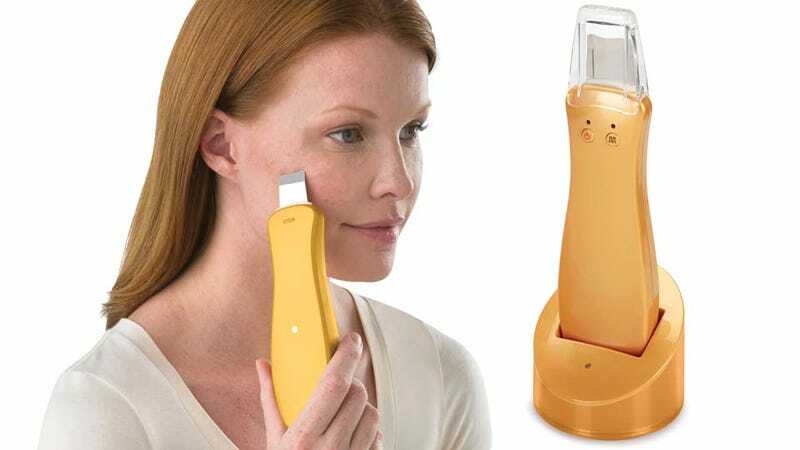 Why Is This Terrified Woman Exfoliating With a Box Cutter? The life of a product model isn't easy, particularly when it involves demoing questionable skin care contraptions. Like this so-called sonic cleanser that looks so much like a box cutter that this model appears legitmately scared for her wellbeing.